We rely on different application to convert our video and audio to the format that we need. However, almost all of the available converters have limitation whether on the number of files you can convert or the size of your media. Plus, they embed watermark on the output making it unpresentable. And it is not easy to remove such watermark. Thus, the next time you change your format, take a pick from the video converters without watermark below. First on the list is Video Grabber. This impressive application is loaded with different functions that can be useful at all times. Basically, it is a downloader which grabs video from various social sharing sites such as YouTube, Vimeo, Facebook, and Dailymotion. Additionally, you can use it to convert media files stored on your computer. It supports a wide range of video and audio formats including MP4, WMV, AVI, WEBM, 3GP, FLV, MP3, AAC, FLAC, and M4A. Video Grabber works on your browser yet doesn’t require any registration or signing of any kind unlike similar apps. It processes multiple files of any size and produces outputs without watermark. And, it doesn’t have limitation for the times of conversion. Here’s the simple guide of how to use this free video converter no limit. Visit Video Grabber on your browser. On the main page, go to the “Convert Video” tab. Hit “Select files to Convert” button then upload your file. Now, click on “Format” and select the output format for your video or audio. Finally, press the “Convert” button and wait for the app to finish the conversion. FILEZIGZAG is also a free online application that is capable of converting video. It has a drag and drop function which makes it easier to import files from your computer. 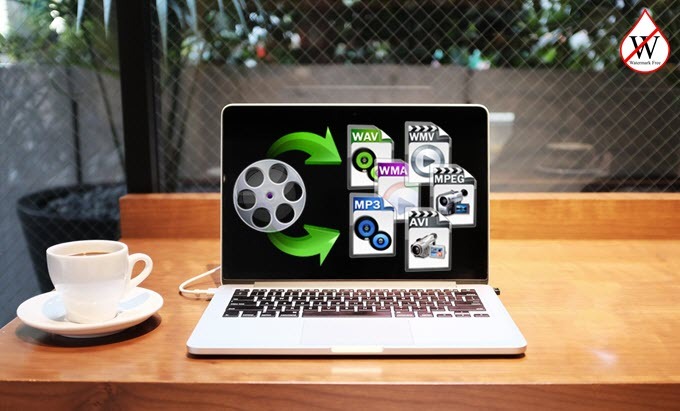 Aside from converting images and archives, this tool can also process audio and video files. You can save your output to your Dropbox or email address. The app stores your file on the server for three days. If you fail to download it within that given period, it will be removed completely. Similar to the first one, you don’t need to sign up, however, you have to register for an account when your file exceeds 100MB. Also, you need an email address to complete the conversion. Aside from this, you have to wait for quite some time for your output. Anyway, follow the instruction to know how this video converter no watermark functions. Go to visit FILEZIGZAG on your web browser. Now, click on “Select” or drag and drop your file to the designated box. Under “Convert to”, select your format and enter your email address in the box number 3. Click “Convert” and wait until the download link appear on your screen. To save a copy, press on the “direct link” on your screen. Or you can log in your email which you typed before to download the converted file. Click “Save to Dropbox” if you want to transfer your file to Dropbox. Another website that might come on handy is online-convert.com. 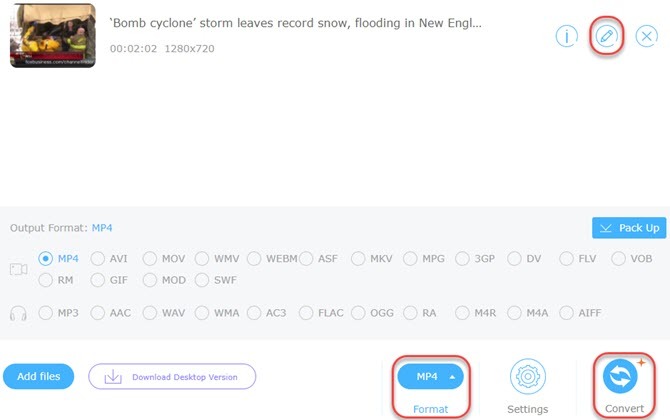 This features an excellent converter that supports various file formats such as MPEG-1, WEBM, FLV, and other well-known types like MP4, WMV, and AVI. The good thing about the app is you can get video files saved on the internet as it has an option for pasting URL. Furthermore, it automatically downloads your file after conversion. So, you can leave your computer and work on other tasks. Like FILEZIGZAG, it sets limit to the file size which means you have to buy the product when you want to convert a 100MB video or audio. 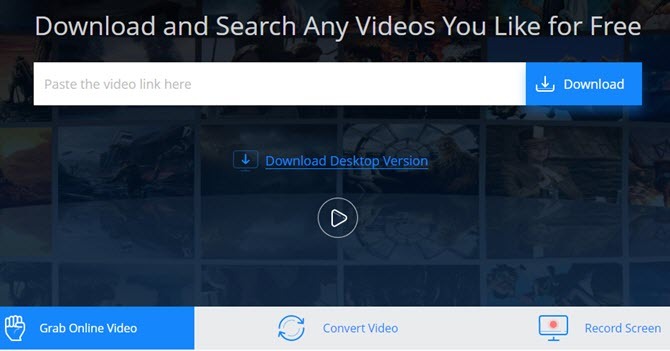 Below are the steps of how to use this free video converter without watermark. Access the tool on this page. 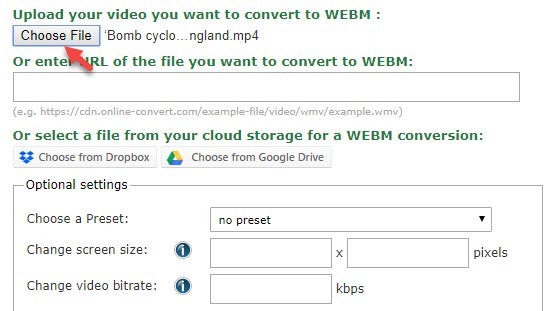 Choose to convert to MP4, AVI, 3GP, WMV, WEBM, etc under “Video converter” panel and click “Go”. Tap “Choose file” or paste the link of your video in the URL box. Finally, hit the “Convert file” button. These three online tools operate just like the typical desktop converter. To compare, Video Grabber is better than the last two. First, it has a more intuitive and clean interface than the other two converters. Second, it has fast and reliable conversion technique unlike FILEZIGZAG that demands repetitive steps and waiting for long time. Third and last, it doesn’t have limitation for file size or require registration of any kind unlike the two which have 100MB cap.